Written by an established international network of hundreds of authors, the AMD is edited by Johannes Nathan together with fourteen international Section Editors and a dedicated editorial team at De Gruyter Publishers, Berlin. 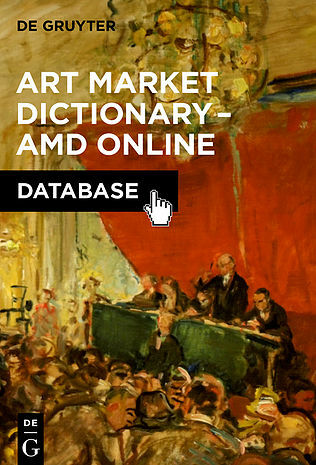 The AMD is also supported by a distinguished international advisory board and a number of specialized institutions such as the Getty Research Institute, the Zentralinstitut für Kunstgeschichte, or the Archives of American Art. Authors’ remuneration depends on the number of entries they write. 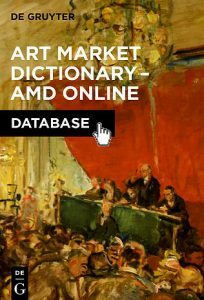 If you would like to request more information or to contribute, please visit the AMD’s website at artmarketdictionary.info or contact Dr. Sarah Goodrum, AMD Editor: sarah.goodrum@degruyter.com.